From Wednesday 22 August until Friday August 24th 2018 the international trade fair Plantarium takes place in Boskoop. This year we have a surprising combined stand with Water Plant Nursery R. Moerings, lavender and boxwood specialist Gebr. Van der Salm and acer and outdoor plant nursery Van Son en Koot. You can find us at stand number 44. You can easily combine your visit with a visit to the Groen-Direkt fall fair. This will also take place from Wednesday 22 August until Friday August 24th. See you in August! From Tuesday 23 January until Friday January 26th 2018 you will find us on IPM in Essen! Want to see more of our nursery? Watch this beautiful company movie! In the cultivation process of organic plants natural fertilizers and pesticides are used exclusively to grow the plant as natural as possible. Vegetable and animal materials are used in the proces. In this way the plants have a sustainability deal with everything that lives. 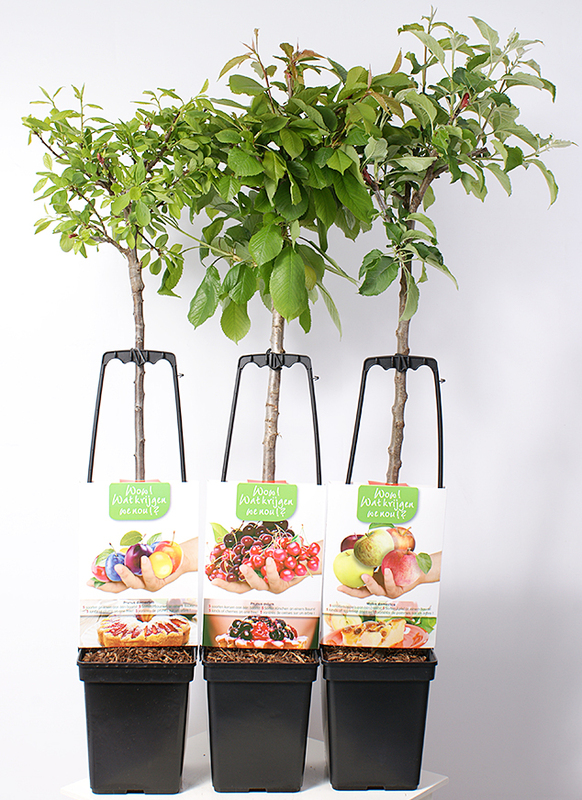 Organic fruit plants are available spring 2017. We start with an assortment of berries, later this range will be expanded with our other products. Sunday 21th juni 2015 Wim Kersten was in the television program LifestyleXperience on RTL4. Unfortunately, no English translation, but beautiful images of our nursery. In 2015 we will start with the sale of a number of new varieties. These can be ordered immediately with your start order. We begin the delivery of our plants on Monday, February 9th 2015. 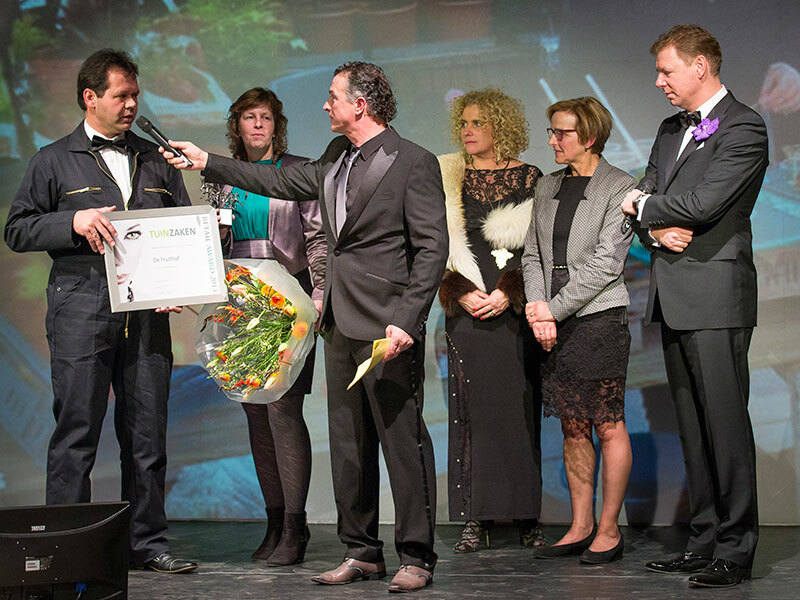 On Thursday, February 6, 2014 has Fruithof recieved the Garden Retail Business Award 2013 in the category of best supplier ‘Green outside’. The magazine Garden Business Magazine annually presents this award for the best product or concept in various categories. 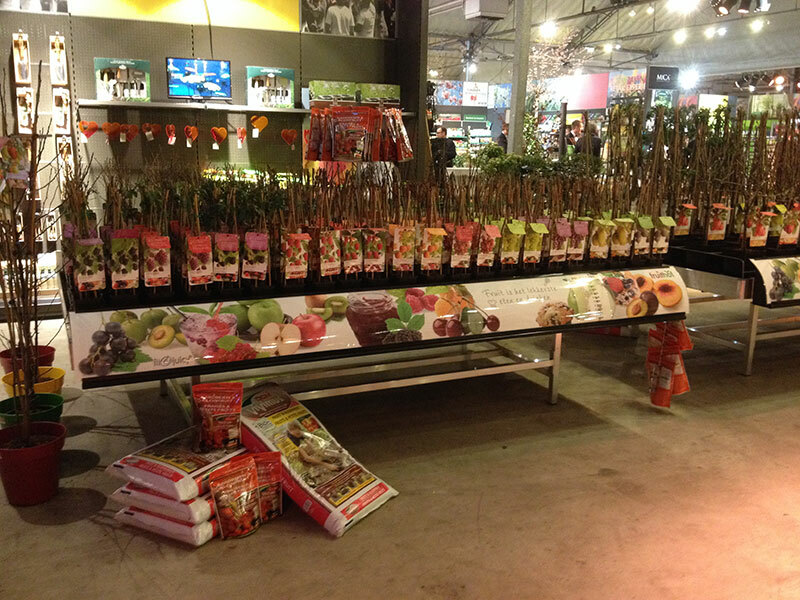 The jury, consisting of several garden centers in the Netherlands, was impressed by our beautiful attractive label, good image of our entire concept of fruit trees and plants and the promotional activities that we organize in the garden centers. Since October 2013 Fruithof is MPS-A certified. 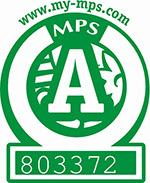 MPS stands for More Profitable Sustainability. 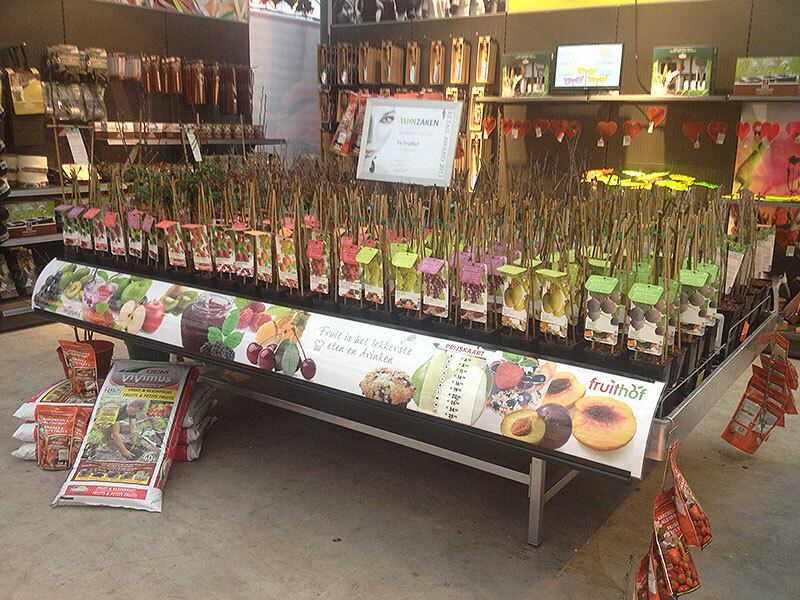 This means that we grow our fruit plants and trees in a very sustainable and environmentally friendly manner. 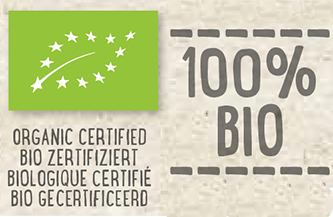 We meet several strict environmental requirements in the areas of crop protection, fertilizer, water and energy. The certificate works with the qualifications A, B and C. The greater the environmental performance, the higher the qualification. The ‘A-qualification’ is the highest qualification; we are therefore very proud that we have achieved this qualification. Fruithof expands! We are working hard right now to new fields so that we can grow even more plants. The construction of the fields is done by using the latest techniques. The fields are equipped with a highly efficient ebb & flow system in which no water is lost, and that creating an optimal water supply for the plants.